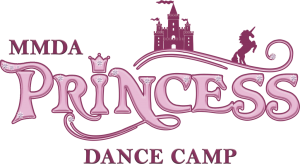 MMDA’s Summer Princess Dance Camp for students ages 3-7 will be held July 8-12 at the Madison location. Treat your child to a week of fun and fantasy at MMDA’s Princess Dance Camp. Your child will live the life of royalty as they explore the world of imagination through dance. Students will participate in creative movement activities and will learn and review fundamental ballet and tap steps as they dance to all their favorites from The Little Mermaid, Snow White, Frozen, Beauty and the Beast and Cinderella. Their princess dreams will come true as they enjoy dressing up, eating royal treats, creating crafts and attending a magical tea party. All princesses will receive their very own princess scrapbook full of memories that they have created themselves. The magical week ends with an in-class performance for family and friends. Let your child be a princess for a week! ONLINE REGISTRATION opens February 1st. Tuition is $150 for the week.